Xiaomi has launched a new TV with a 40-inch dispaly named as the Mi TV 2 which is being launched exactly one year after the release of the first model which was a 49-inch one. 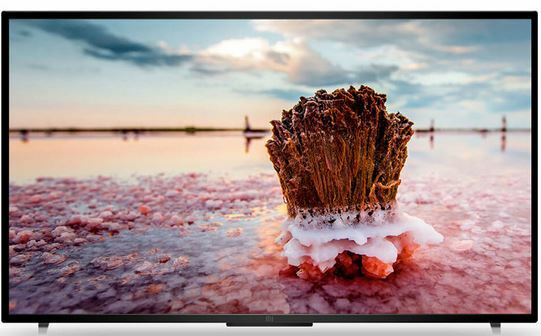 Coming to the Xiaomi Mi smart TV 2 which comes with a 40-inch Full HD display with a resolution of 1920 x 1080 pixels having a display from Sharp with a 176 degree viewing angle. It is just 14.5 mm in thickness and having minimal aluminium brackets for a better viewing experience with a simple 11 key remote control. Coming the the specs and features of the device it is powered by a 1.45 GHz quad-core MStar 6A908 Cortex-A9 processor with Mali-450 MP4 GPU which is supported by 1.5GB of RAM and you can download various Apps from Mi Store which are also supported. It comes with 8GB of internal memory which can be expanded with the help of microSD card support with a card slot present on the side of the device. It supports 1080p videos at 60 fps, H.263 1080p at 30 fps, MPEG1 / 2/4 1080P at 30 fps, VP8 1080P at 30 fps, REAL7 / 8/9 1080P at 30 fps, MJPEG 1080P at 30 fps. The Mi TV 2 comes with 2.25 inch full range stereo speakers with acoustic waveguide technology and Dolby MS12 Virtual Surround Sound and Bass Boost. It also supports all the connectivity options like WiFi 802.11 a/b/g/n, Dual-band 2.4 / 5GHz, Bluetooth 4.0 LE, 3 x HDMI 1.4, VGA, AV, Analog TV, 1 x USB 2.0 and 1x USB 3.0, Ethernet. This 40-inch Full HD smart TV is being priced at 1999 Chinese Yuan which comes to around $322 and in Indian Rupees around Rs. 20,000 approximately. You can purchase this smart TV by placing an order from Xiaomi’s official website which will be on sale from March 31st in China, nothing is known about its release globally. With the companies like Micromax coming out with Full HD TV in India the release of Xiaomi’s TV can bring the competition to the TV makers in the market like it has done in the smartphone segment.